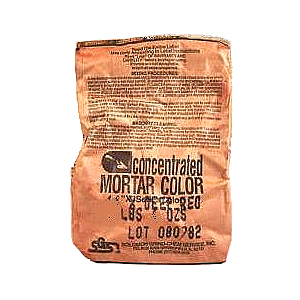 PRODUCT: CONCENTRATED MORTAR COLOR, SOLOMON #70H ORANGE, 2-LB BAGS. 12 BAGS/CASE. PRICE/CASE. Pure mineral pigments designed to be used with all cementitious materials, including Type N, S, M or O strength masonry cements or portland and lime mixtures. Pre-measured units concept of Solomon Colors’ colors provides uniform color control.